Coffee is one of the popular beverages and people have consumed it for the last 2000 years. Coffee has also become popular and almost as valuable as petroleum. Different types of Coffee also have their fair share of romanticism. However, the next time you want to get caffeinated be it to stay awake to work, study before an exam, or just to improve your athletic performance ensure that you do it in a healthy way. The new coffee culture means good for us caffeine lovers. However, it also means that we should stay on top of what's what. 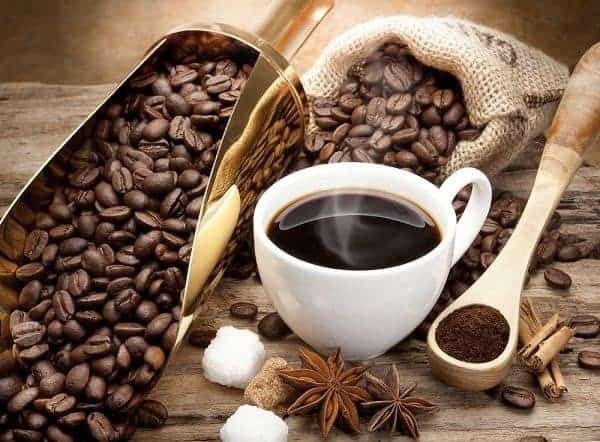 Therefore, follow my guide to help you order your daily cup of coffee, read on to know the types of coffee and types of coffee beans around the world. 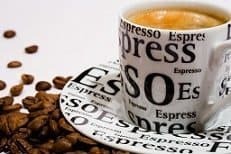 Most people have no clue on what they should order in a coffee house, and many others have no idea of the difference between an Americano, Cappuccino, and Espresso. The following list will help you to decide which type of coffee is best for your palate. Many people regard espresso as a dull coffee order. However, that is not the case; espresso is the purest coffee, and it is consumed without milk. In many traditional coffee recipes, they revolve around single or double espresso shots. It is made using a single shot of espresso and hot water. The result is a more watery coffee, and it has become very popular in the U.S. This type of coffee was first used by American soldiers, and they made their coffee waterier for it to last longer. This coffee type was later embraced by baristas even after the war. This is a popular type of coffee that has three layers. The bottom layer is espresso, followed by steamed milk, and then a layer of foamy or frothed milk. For those trying out this beverage for the first time, they can choose between chocolate powder or shavings garnishes. This is a good option for coffee drinkers who aren't fans of the bitterness in Coffee. A latte contains one or several shots of espresso and steamed milk over it. After the milk is steamed, it becomes frothy. 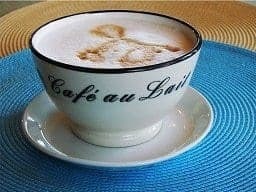 When you decide to purchase a café latte, ensure you have ordered for a café latte because latte alone is ﻿Italian for milk.﻿ Therefore, if you ask for a latte, you may be served with a glass of milk. The procedure of making this type of coffee is similar to that of a café latte. However, it is not made from espresso but brewed coffee. The resulting taste is less intense and milder because it consists of 50% milk. The ratio of the brewed coffee to milk is 1:1. This is a single shot of espresso with some steamed milk. The standard ratio of coffee to milk is 4:1. The best entry point for most people who don't take coffee is the café mocha. It is mostly preferred by ladies. This is a latte with an additional chocolate syrup or powder to make it thicker and chocolatier. However, it still retains its coffee taste. This is a cappuccino that is made from half coffee and half milk rather than using whole milk. The main idea is that the combination will give a creamier and rich flavor. However, if you would like to try and make it by yourself, be aware that it is more difficult to foam this type of beverage. This is a cocktail type of coffee where a single shot of espresso is combined with one teaspoon of brown sugar and a splash of brandy. The mixture is then iced up and crushed before it is served with whipped cream. This is a type of espresso coffee that is whipped together with cream. This cold espresso is common in Latin America and Europe and is mostly taken during summer. This is an espresso mix and a splash of coffee. Depending on your needs, you may find that this type of coffee is given other different names. These coffee types have become very popular around the country due to their convenience. This has denied many coffee lovers the chance of trying out other coffee types, or when served with different coffees they don't appreciate the taste and aroma. 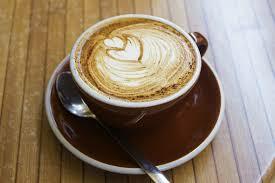 This type of coffee is in the form of soluble powder or granules. This type of coffee is prepared in a different style compared to other types. It is made in an open, long-handled, copper or brass pot to make it thicker. The ground coffee is mixed with boiled water to make a thick muddy mix of coffee and served in small cups called Demitasse cups. In some countries like the Arabic countries, cardamom and sugar are sometimes added before the coffee is brewed. The result is then left to settle before it is served. This espresso type of coffee is sweetened with natural sugar during the brewing process. 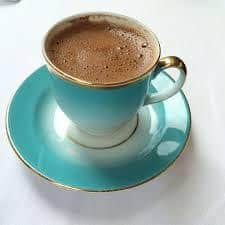 The most common style of making this type of coffee is by adding small amounts of espresso coffee to the sugar and then mix until it turns into a light brown and creamy paste. The rest of the espresso coffee is added to the paste to create a light brown foamy layer. When you ask for a macchiato at your local coffee shop, you will get a single or double shot of espresso with only a splash of foamed milk. Doppio is Italian for double. You will be served with two espressos when you ask for a doppio. The normal espresso single shot is 30 ml, but when you ask for a doppio, you get 60 ml. The name Ristretto comes from the word restricted. This type of coffee is prepared for those people who prefer going straight to the point and get caffeinated. 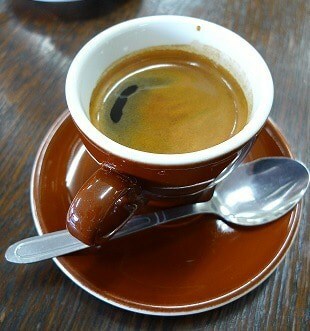 This type of espresso is also highly concentrated and is served in single shots of 22ml. This is not the type of coffee that you can order for at 9 am when you are going to work. 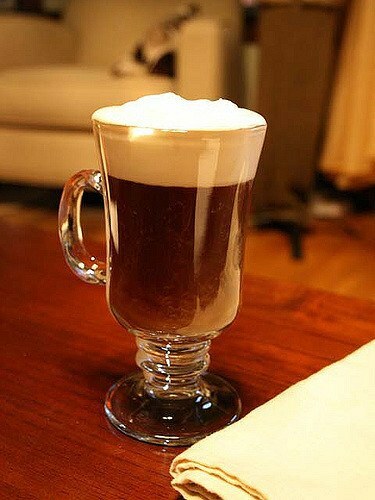 The Irish coffee is another cocktail type of coffee that is made using cream and Irish whiskey. 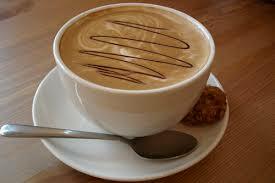 Therefore, if you are offered this type of coffee in the morning or when working ensure you pass on the offer. It is also not recommendable to try brewing this type of beverage at home. Cheap liquor and coffee is a major recipe for sadness. However, you can take this type of coffee during cold nights to keep you warm. It is a blend of coffee and honey. The coffee is mixed with unsweetened powdered cocoa, honey, and served with cream. There are different factors that contribute to the resulting flavor of coffee. Therefore, when you are selecting which type of coffee to take, it is necessary to consider some factors. However, all of these factors revolve around the type of beans you choose, the region where it is grown, and the roasting type. There are two main coffee beans varieties: Coffee Robusta and Coffee Arabica. Coffee Arabica is more preferred by many barristers and is used to produce more than seventy percent of the world's coffee today. These type of coffee is of higher quality than the Coffee Robusta. This type of coffee originated from Ethiopia and Yemen. Some of its varieties include Caturra, Bourbon, Mundo Novo, San Ramon, Typica, and Jamaican Blue Mountain. 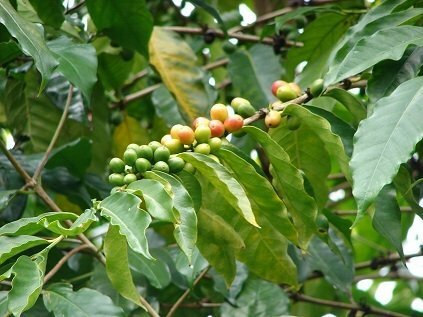 The Coffee Arabica ﻿﻿﻿trees produce a mild, fine, and aromatic coffee beverage. This coffee beverage has lower caffeine compared to Robusta. In the coffee market today, Arabica coffees generate the highest revenue. The best Arabica coffees are grown between 3000 to 6000 feet above sea level. However, the optimal altitude will vary depending on the proximity of the equator. The temperature should always remain mild between 60 to 70 degrees and rainfall of 60 inches per year. The Arabica coffee trees are expensive to cultivate, and the best terrain should be steep. They also require more attention and care compared to the Robusta coffee trees. Most of this type of coffee is grown in Western and Central Africa, Brazil, parts of Southeast Asia including Vietnam and Indonesia. The production of this coffee is increasing, but it only accounts for thirty percent of the world's coffee market. Robusta is mainly used for instant coffees and blends. This type of coffee bean is rounder compared to the Arabica. It is also parasite and disease resistant thus it is cheaper and easier to cultivate. It can also withstand high temperatures between 80 and 90 degrees. Therefore, it can grow at lower altitudes compared to coffee Arabica. Because of the high temperatures, the Robusta coffee has 50 to 60 percent more caffeine than the Arabica coffee. The coffee beans from a coffee cherry are used to brew coffee after they are processed and roasted. 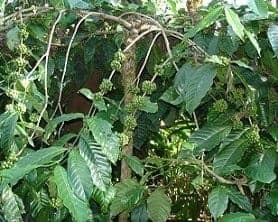 About 5 percent of the coffees around the world have a single coffee bean in the coffee cherry, and they are referred to as ﻿﻿peaberries due to natural mutation. Most people believe that the peaberries are more flavorful and sweeter than other coffee beans. Therefore, they are sorted manually for a special sale. American roast: This method of roasting is a regular coffee roasting method. The coffee beans are roasted partially to produce a moderate flavor that is not too mild or too strong. 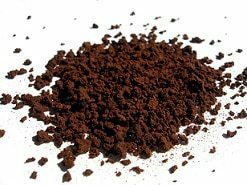 French Roast: This is a strong roasting method and the resulting brew has a deep, chocolate brown color and a strong flavor. Italian Roast: It is mostly used for espresso coffee beverages because of the strong brown-black appearance and strong flavor. European Roast: This is a combination of roasts where two-thirds of the roasts are heavy and one-third are normal roasts. Viennese Roast: This is also another blend of roasts, but it contains one-third of heavy roasts while two-thirds of the roasts are regular. There are four main coffee ﻿﻿brewing ﻿﻿methods including boiling, pressure, gravity, and steeping. Boiling Method: Hot and boiling water is passed through coffee grounds and then the grounds are filtered out. Pressure Method: This coffee brewing method is mostly used to brew espresso. The hot water is forced at high pressure to pass through the grounds before it is sieved. Gravity Method: Water is gently dripped on the coffee grounds and then filtered. Steeping: This is similar to the use of tea bags. I hope that you have gathered something new about the different coffee and coffee beans from this list. Consider using this guide to try out something exciting today at your local coffee shop. Most people don't know that there are many other types of coffee beans that they can enjoy. However, there is nothing wrong by sticking to your daily coffee order if that's what you love most. In case you find this information helpful, share it with your friends so that they can join the 400 million coffee lovers around the world.